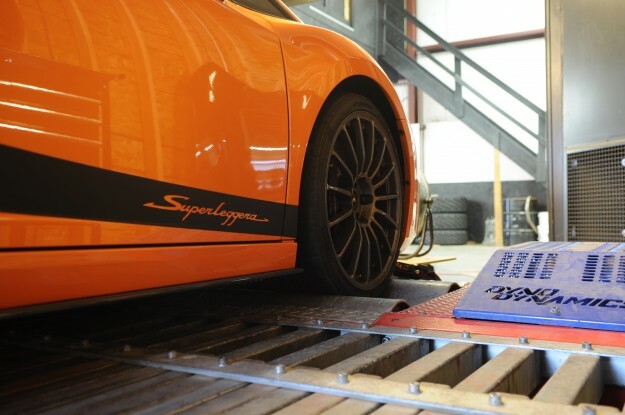 Now while we’ve sold our exhaust system to Superleggera owners in the past, all have been our resonated setup. Not this time! 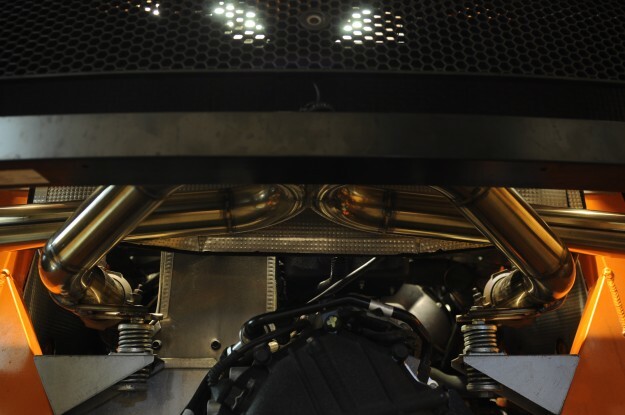 This client decided to go with our straight piped system coupled with our megaphone cat-deletes. (Off-Road use only!) Keeping that in mind we were not expecting a sound much different than what we’ve heard in the past but we were wildly mistaken! 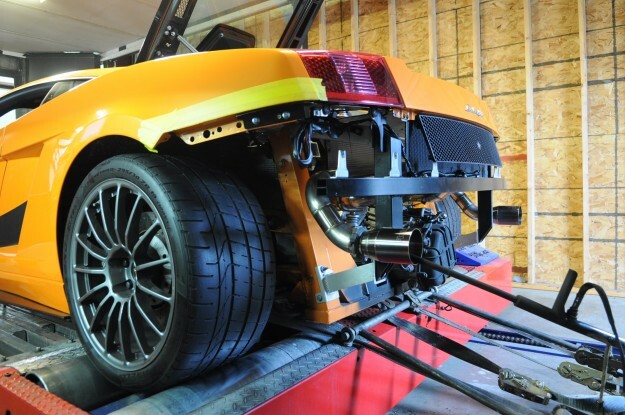 First off we started with removing the rear bumper and diffuser to protect the carbon fiber and strapped it to the dyno for a baseline. 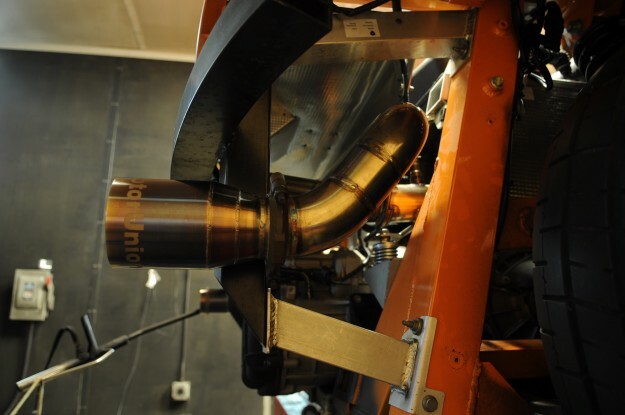 Handcrafted from raw 2.5″ stainless steel piping, each TIG weld is laid by hand and backpurged with inert gas to prevent oxidization, creating a laminar exhaust flow with a clean sound that brings out the true screaming nature of this V10 motor. 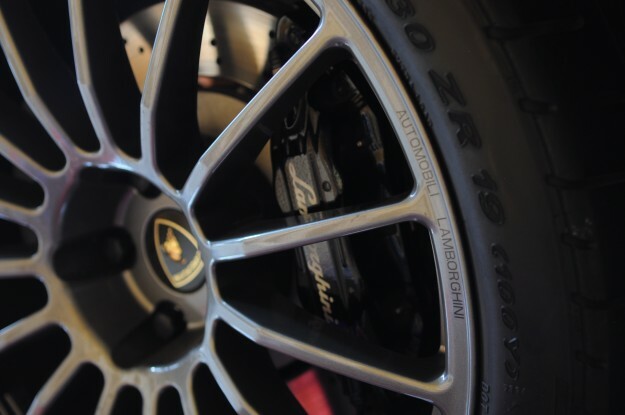 The main difference between our standard Gallardo system and the Superleggera system is the need for a different tip design. 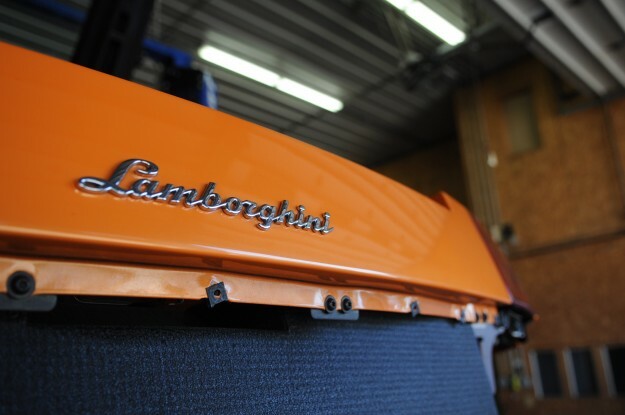 The Gallardo’s exit into a tip that is actually part of the rear bumper whereas the Superleggera’s have their own tip attached to the exhaust itself. While we could have used the stock tip we decided to give this thing some flare! 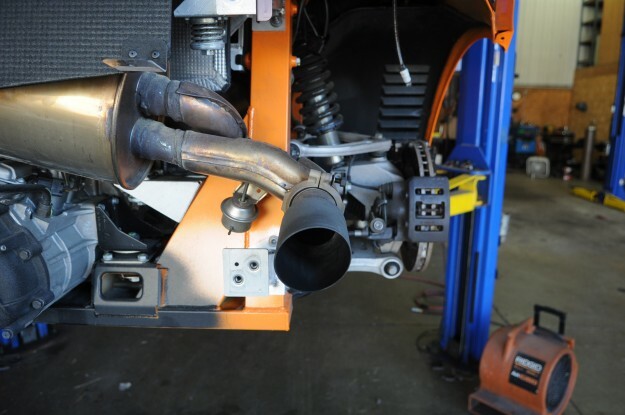 Most of our Lamborghini clients looking to modify their exhaust are mostly interested in the sound aspect but as we've seen in the past, our exhaust system will yield around a 30whp gain to compliment the noise. 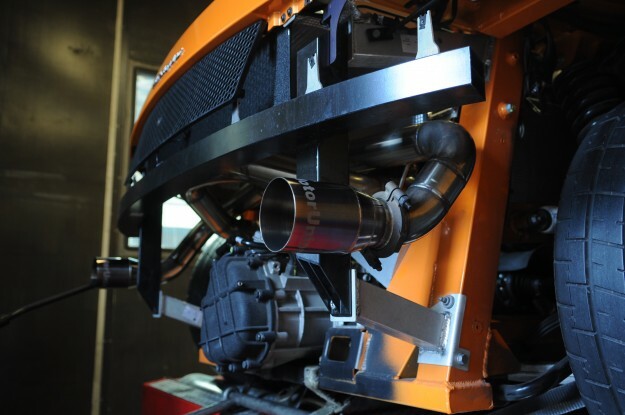 This Superleggera owner was happy to hear he picked up a pretty impressive 40whp from the exhaust alone! Since I can't figure out how to embed the video, here's the link!